I have sort of an art theme going this week...first with the great Modern Bird Studios giveaway (you still have time to enter, by the way...just click here.) 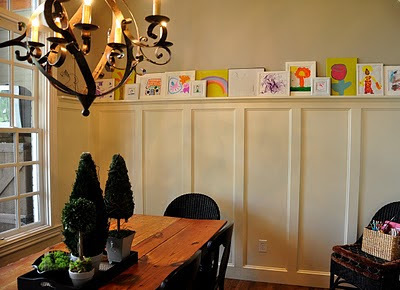 And now, I have some fabulous ideas to share for displaying kids' art. And something tomorrow for Frugal Friday as well - how's that for a teaser? A perfect summer project...go round up all that art your kids dragged home with them from created in school this year and create a sentimental keepsake that looks uber-stylish! Frugal Friday goes up tonight at 11:59 EST. Get your frugal inspiration going, and I'll see you then! One last note: My Summer Sponsor Sale is still going on....one month for $35 or all 3 for $90. That's a lot of advertising bang for your buck! Email me if you'd like more information. Decorating with children's art can't be beat, really! Thanks for including the client's example in this post! One idea I had was to get a clothesline. Kids artwork are always changing and every week they get to change the art that's being displayed. It makes them feel important and at the same time feel like they are contributing to your design. The first idea for displaying art is light and whimsical, a very pleasing design that's sophisticated. Lovely blog, I'll be sure to follow so I can be inspired again! 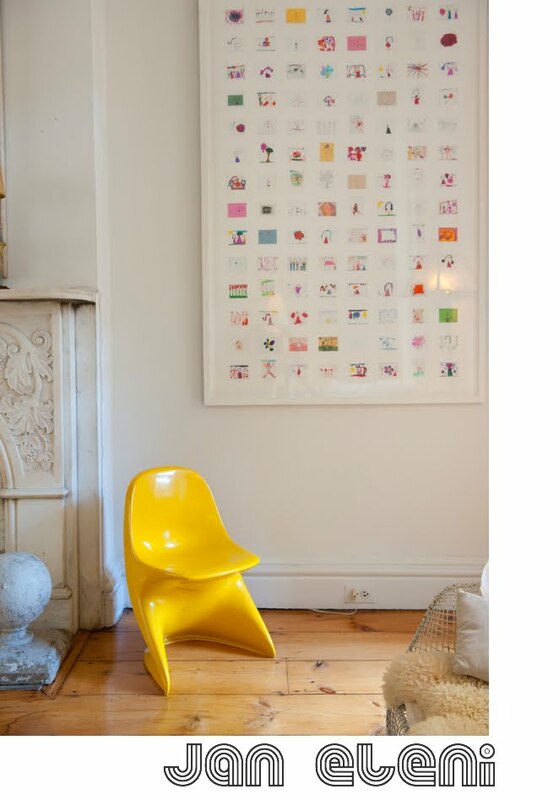 I love both of those options for displaying your child's art. Hello! I absolutely adore your blog. I use GOOGLE READER to stay up to date on the blogs I read, and with your blog the settings are set so that I can only view the first few sentences of each new blog post. Do you think you could change the settings so that the full post appears? If not, I totally understand. I'll still be viewing your blog when updated! Thanks for all you've shared with us! I love this--especially the first one. Can't wait to implement this at our house!